Got back from the range yesterday checking out my new Taurus 66. 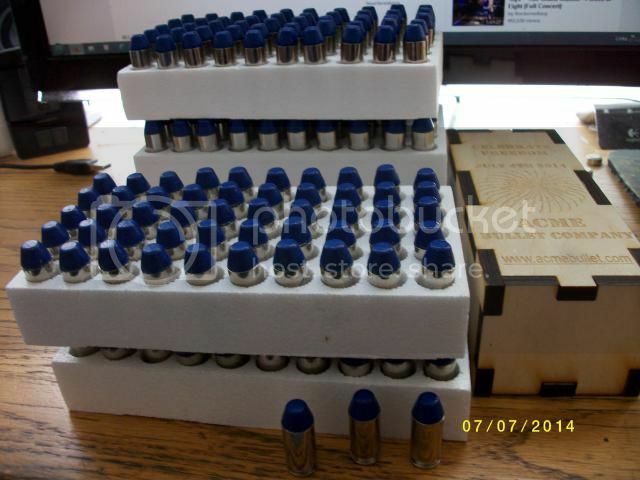 So I had to deprime a whole lot of .357 magnum and .38 Special cases. Also some 10mm, and 7.62X54R (Never go without taking at least one 10mm or 1 Mosin Nagant. I will run them in the wet rotary tumbler while I am out yard doing yard sales tomorrow. Already have one circled to go to, he says gun and target stuff. I finished loading up a very small sample of my first batch of cast .380/9mm bullets (Lyman mold #356242 90 gr. RN). These are the first of my cast bullets that I have ever loaded. Feels pretty good, will feel better if they all go "bang" like they should. Now I've got to size and lube the rest of the boolits from that batch so I can load them. 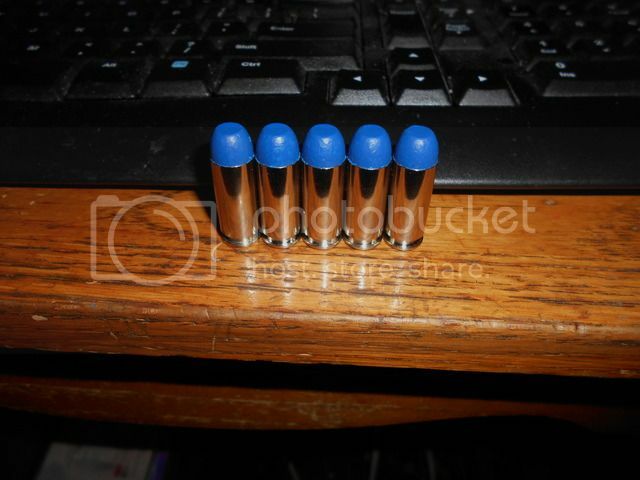 Got 50 308 Win cases ready to load some 168 grain lead boolits I PC'ed a few days ago. Need to fire form them for cat sneeze loads. Cleaned and prepped some 7.62X54R and .308 Win. Used old nail polish to inhibit 168 grain tracers. LEP, could you explain how you do that? Is there some specific chemical to look for in the nail polish or ??? I have tried some different things to keep old .308 tracers from lighting and haven't had any luck really. The best I could do is maybe have 25% of them not light up. The key seems to be a HARD enamel completely filling the tracer pocket-multiple applications needed. I've only used this method on orange tips and found some enamels or nail polishes don't fit the bill. Old header and BBQ paint gave promising results, but I didn't have enough to validate the result effectiveness. I was actually trying the opposite with some .311 tracer boolets for my Mosins. I never got one to light unless they impacted a hard target. Then I would see a small flash of light. Loaded 50 308 Win cat sneeze loads. Now to get to the range and get some plinking in. Sitting there eyeballing all them 7.62X54R empties and that new bottle of Hodgdon BL-C(2) I just decided to buy to try out. I've been setting up my new CO-AX press and waiting on my Projectiles from a new vendor I met on Face Book. He uses some kind of hard Moly Coating which looks like powder coating to me. I got some 44mag and 45colt RNFP Boolits from him. Hope to get them soon. Last edited by Weaponologist; 09-03-2015 at 07:14 PM. Weaponologist, when you get that Dillon let me know. I'll take the Co-Ax off your hands and help you clear up some bench space. I have just heard so much about the co-ax I had to try it. If it's as great as they say I'll just let my RCBS go to someone later..
Last edited by Weaponologist; 09-03-2015 at 07:23 PM. Got a big load of .380, 357 SIG, .357 Magnum, 7.62X54R, and .38 special going in the wet rotary tumbler as I type. Last edited by gandog56; 09-04-2015 at 05:49 AM. I like those blue ones. 10mm? Which blue ones? The top is 10mm. 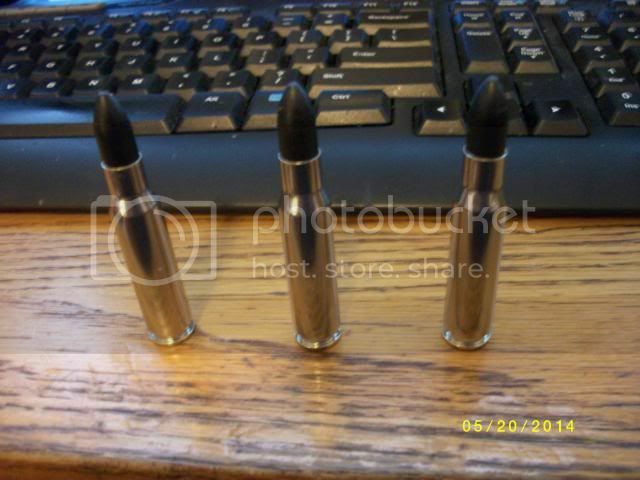 The bottom one is both 10 mm And .40 cal. That's why I got the signal blue, it's not only more accurate but gives a signal just before leaving the barrel.